Rev. 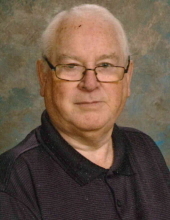 Jay Johnson, age 72 of Millers Creek, passed away Saturday, March 30, 2019 at Forsyth Medical Center in Winston Salem. Funeral services will be held 3:00 PM, Tuesday, April 2, 2019 at Oak Grove Baptist Church in Millers Creek with Rev. Keith Lyon and Rev. Lawson Horton officiating. Burial will be in the church cemetery. The family will receive friends from 1:00 until 2:30 prior to the service at the church. Rev. Johnson was born July 13, 1946 in Wilkes County to Albert and Lula Gaynell Staley Johnson. He was retired from Key City Furniture. Rev. Johnson was a Baptist Minister. He was preceded in death by his parents, a sister; Jo Ann Harris and a brother; Grady Johnson. Rev. Johnson is survived by his wife; Joyce McGee Johnson of the home, a daughter; Lisa Johnson Wagoner and husband Stacey of Purlear, a grandson; Travis Dale, two sisters; Betty Jane Burgess and Carolyn Moore and husband R.L. both of Millers Creek, a brother; William Pinkney Johnson “Sonny” and wife Gaynell of Hays and several nieces and nephews. Flowers will be accepted or memorials may be made to Oak Grove Baptist Church PO Box 528 Millers Creek, NC 28651. To send flowers or a remembrance gift to the family of Jay Johnson, please visit our Tribute Store. "Email Address" would like to share the life celebration of Jay Johnson. Click on the "link" to go to share a favorite memory or leave a condolence message for the family.